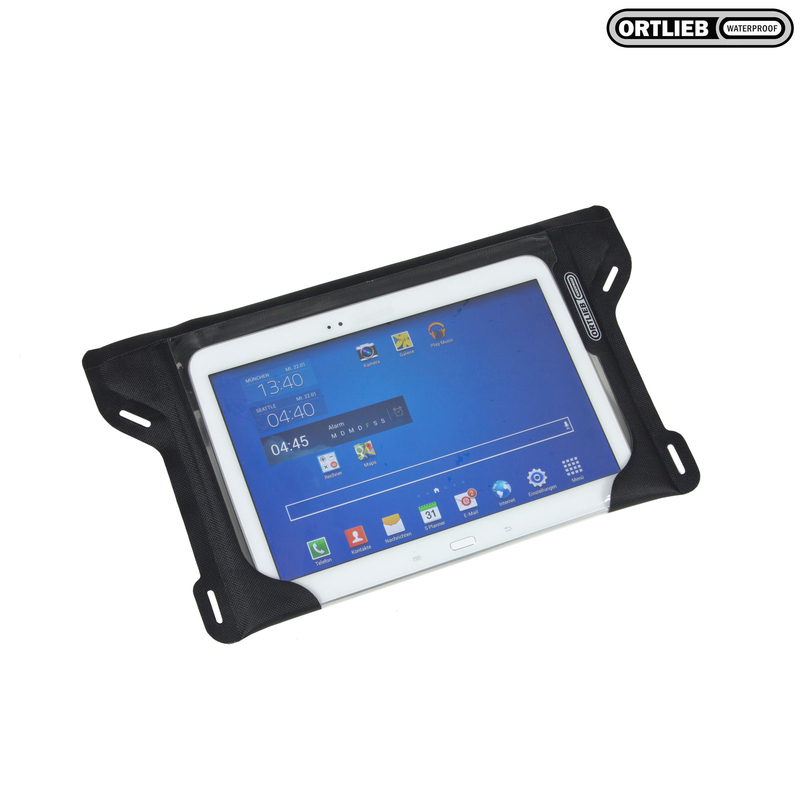 Smartphones, E-readers and the increasingly popular tablet PCs are stored safely and dustproof in Ortlieb's new waterproof protective sleeves made of PU-coated nylon fabric. The cases are tested according to IP67 standards providing full protection against dust and water for a duration of 30 minutes at a depth of 1 meter. Sensitive electronic devices are safely protected from humidity, mud, dust and snow. Cases feature lashing points for fixing to clothing, backpack or life jacket. The Tablet-Case is available in two sizes. M fits E-readers and 7.9" tablets. L is perfect for 10" tablets. Both models feature a waterproof zipper which provides 100% protection from all weather, even extreme minus temperatures. The UV-resistant PU-film allows full function and use of the device.